In October 2017 Abi was promoted from Business Development Director to Managing Director, whilst James Platt (Aquarius Rail’s Owner) steps back from the day-to-day running of the business to focus on innovation. Abi is will retain responsibility for the marketing and sales strategy leading the company’s growth. Abi is driven by a passion to deliver great products and customer service. 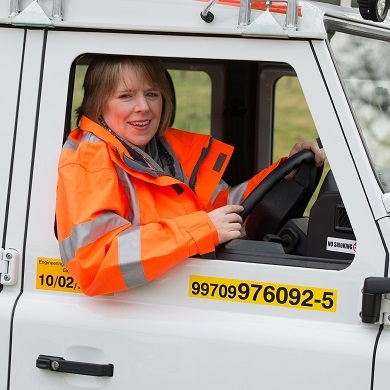 She is dedicated to collaborating and building strong customer relationships to make everyday railway tasks ‘simple & safe’. Abi is also an proactive member of the Rail Supply Group SME Council and is committed to improving the rail industry. Abi joined Aquarius in May 2010. After attaining a 1st Class Degree in Design, Abi has worked in a variety of industries: theatre, television and latterly in design and sales to management level.